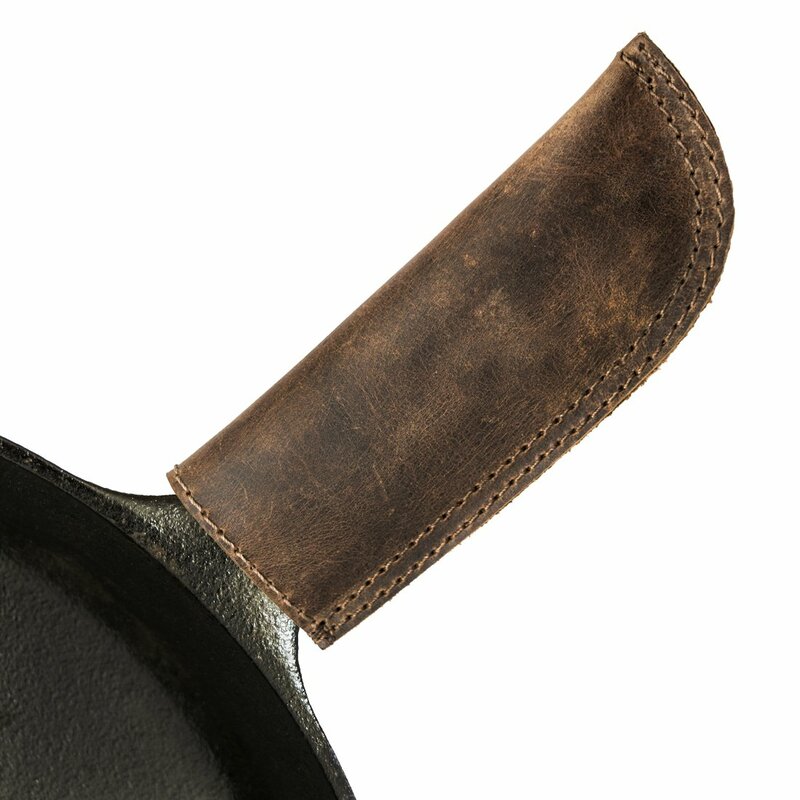 Of all the kitchen tools in the world, perhaps none is more versatile and enduring as the cast iron skillet. Whether you’re cooking steaks, frying chicken, sautéing onions, or using it as a weapon, the cast iron skillet is the multi-tool that completes any kitchen. If you treat your skillet right, it’ll always be there. The downside to a cast iron skillet is that if cleaned improperly, it’ll rust easily, and its nonstick properties require a bit of care. This scares off a lot of new cast iron users. But by regularly seasoning it and cleaning it correctly, you’ll have a lifelong companion. Simply follow these easy steps. I’m not talking about sprinkling oregano on your skillet. When I say seasoning, I mean giving it the non-stick quality that makes cooking a hell of a lot easier. Most cast iron products are sold pre-seasoned these days, but it’s still a good idea to lay down a couple layers of seasoning yourself before you get cooking. Set your oven to the highest temperature it will go, usually 450 to 500˚F. The high heat makes the oil bond with the cast iron. Scrub your skillet with warm, soapy water, then thoroughly dry it with a paper towel. Pour in about a tablespoon worth of oil (canola, vegetable, or corn are usually the best) and spread it around with a paper or dishtowel. Make sure to rub it into every inch of the skillet, including the bottom and handle. Try not to leave any excess oil anywhere as that can leave a sticky residue or leave hardened droplets. 4. Put your oiled skillet upside down in the oven and leave it in there for an hour. 5. Turn your oven off and leave it in there to cool. That’s it. That’s all you have to do to season your skillet. I recommend doing this one or two more times to set down a quality couple of layers when you first get it. Then, depending on how frequently you use it, re-season once or twice a year. Now that your skillet is seasoned, you’re ready to cook. The rules are pretty simple to cooking in these skillets. Heating up your skillet before cooking ensures that the skillet is evenly heated. Putting cold food in a cold skillet will make your food stick. So before putting oil in the skillet and cooking, put your skillet on a burner set to medium heat and let it sit for 5 to 7 minutes. Hovering your hand over the pan will tell you how hot it is. Don’t forget to use fats like oil or butter when cooking in your skillet. It’s just another way to ensure your food doesn’t stick. Me? I like to use a little butter when cooking in my skillet to add a sweet nuttiness to my meats. But be careful with the temperature. Nobody likes burnt butter. This may seem obvious, but it needs to be said. Cast iron skillets are made up of one large piece of metal, so when it get heated up, every inch of it is heated. You can use an oven mitt, but as the burn scar on my palm will tell you, it’s easy to forget to use it. Get something to slip over the handle of your skillet. You’re much less likely to forget it if it slips directly on and stays there. I’m a huge fan of either the leather holder or the silicone from Amazon (pictured below). Finishing food in the oven is a great way to ensure your food is cooked through without having to worry about accidentally burning it. Use a medium high heat when searing the food, then transfer the skillet to the oven and cook your food the rest of the way through. This is especially effective for chicken and pork tenderloin. This is true of whatever means you’re using to cook with. When you’re searing meats, let it sit and wait for a crust to form. When you can see it around the edges of the meat, flip it! If the meat is sticking to the pan when you try to flip it, that means the food isn’t ready to flip yet. Let it sit another minute before trying again. This is actually super simple, but also easy to mess up. You don’t want your pan to cool after cooking with it because food will get stuck to the pan and when you try to scrape the food off, you’ll scrape off your skillets seasoning. While it’s still warm, follow these steps to clean it. First, rinse off the inside of the pan with hot water, getting as much of the food out as you can. Pour some salt into the skillet and scrub it with the tough side of a sponge under warm or hot water. The salt works as an abrasive to get some of the tougher bits of food off the skillet. Dry your skillet! I cannot emphasize this enough. Cast iron rusts pretty easily so you need to dry it thoroughly. Use a towel to get the majority of the water off. Then put it on a burner on the stove and turn it to medium high heat. After a few minutes, the heat will evaporate the excess moisture. Now you might be thinking to yourself, “Why would I bother with a cast iron skillet when I can just use a regular stainless steel skillet? What’s the point of all this trouble?” Trust me, after tasting one steak cooked in that cast iron skillet, you will never wonder that again. this is to my “SKATE MOM” i have alot of cast iron cooking pans and i love how you explained how to do this. this needs to be put up in alot more spots and yes a steak cooked on cast iron is one of the best steak’s ever.